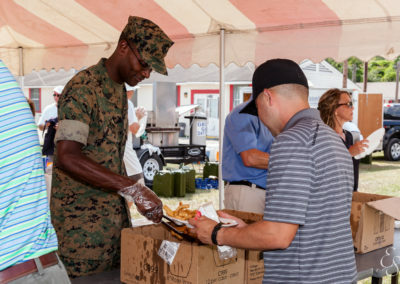 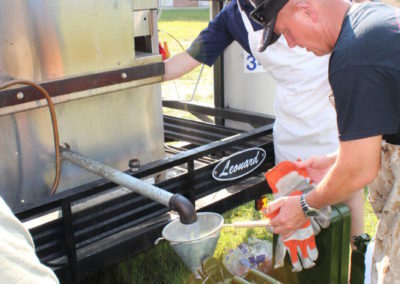 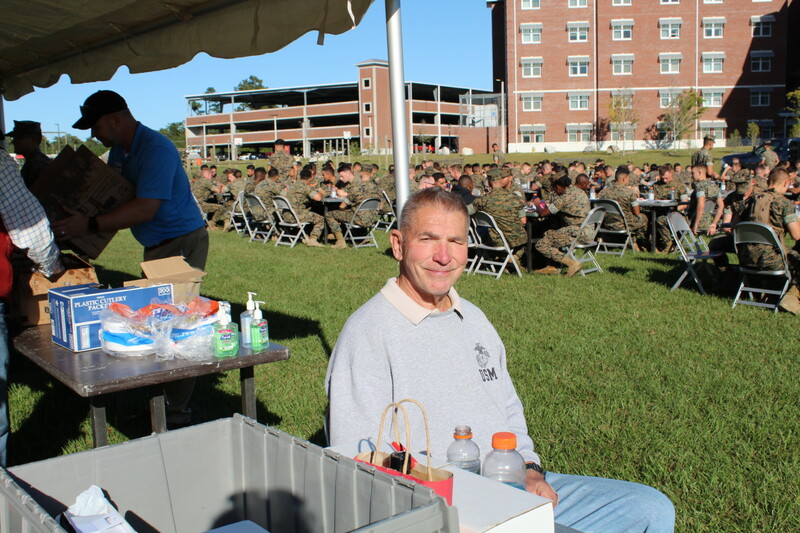 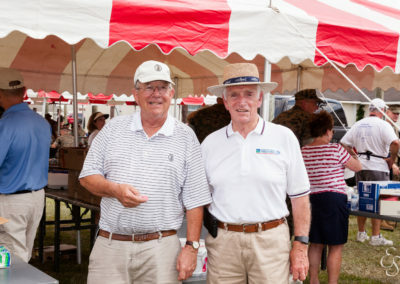 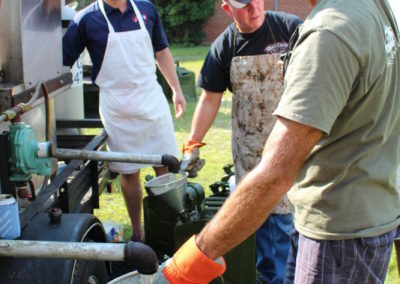 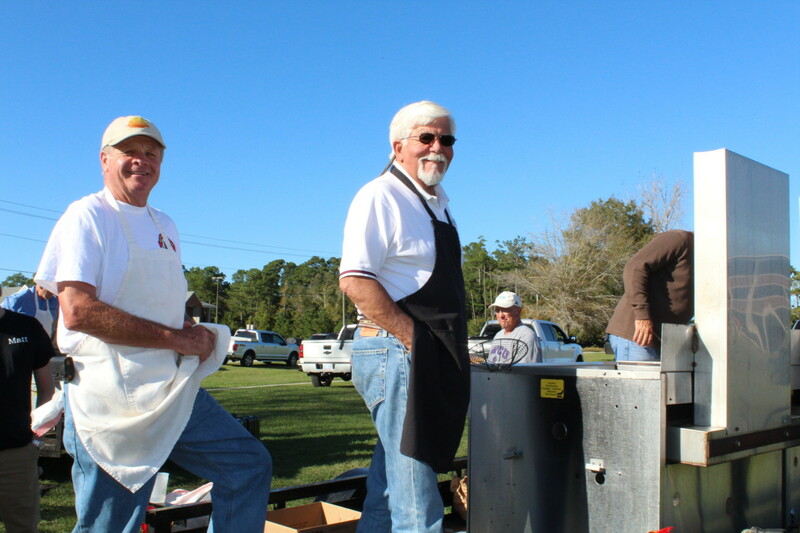 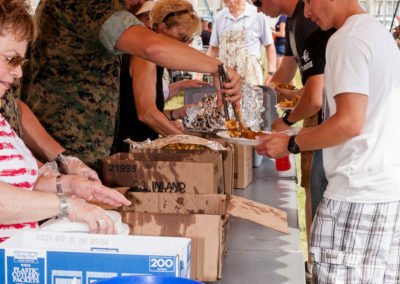 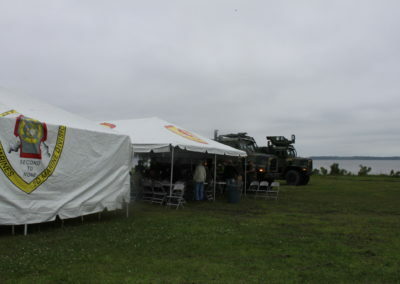 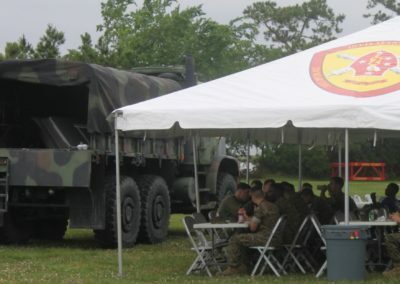 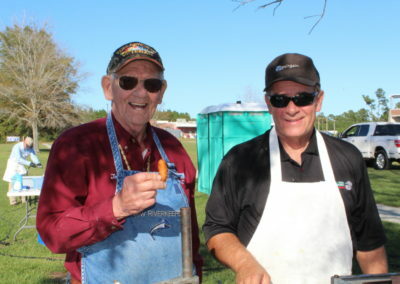 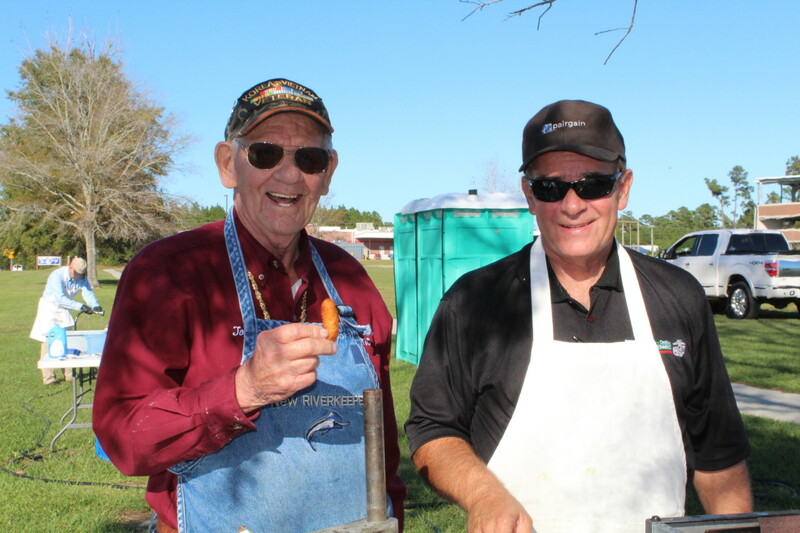 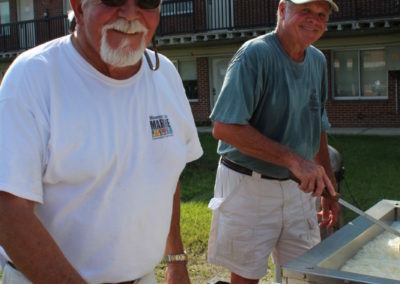 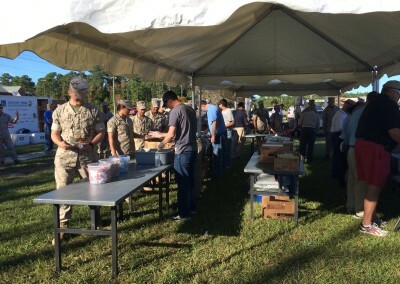 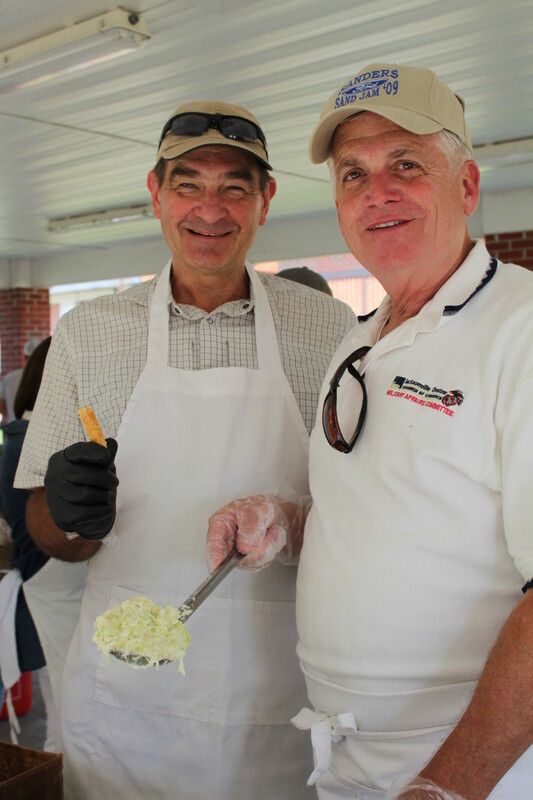 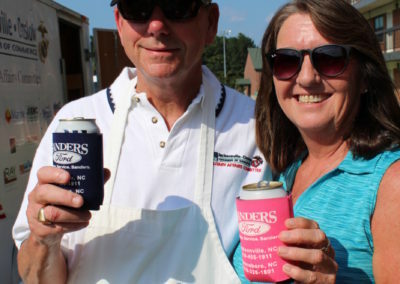 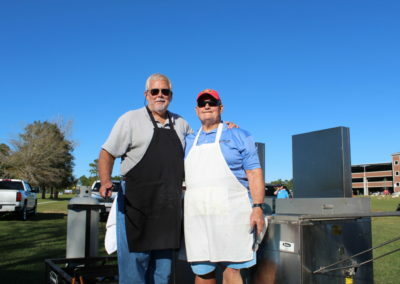 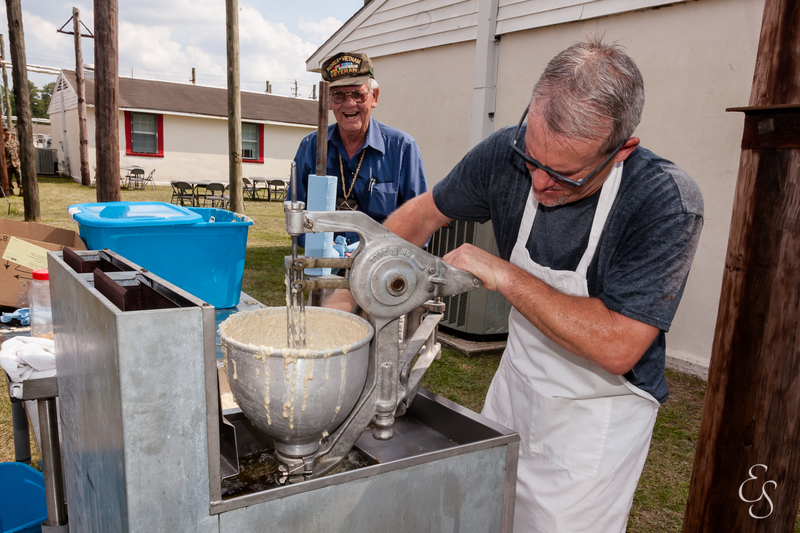 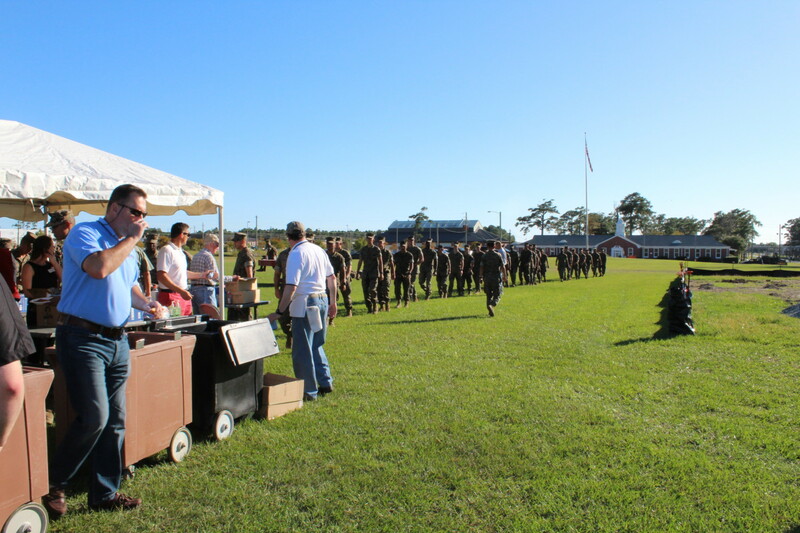 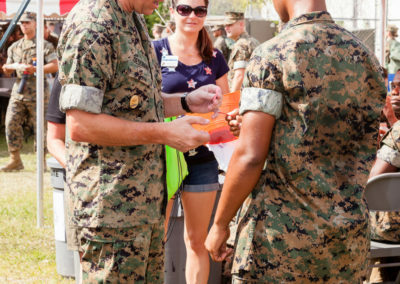 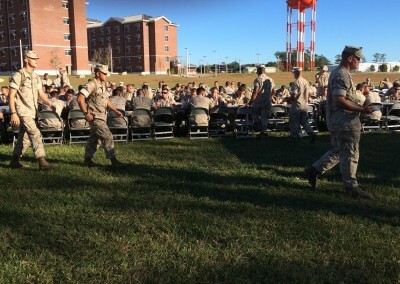 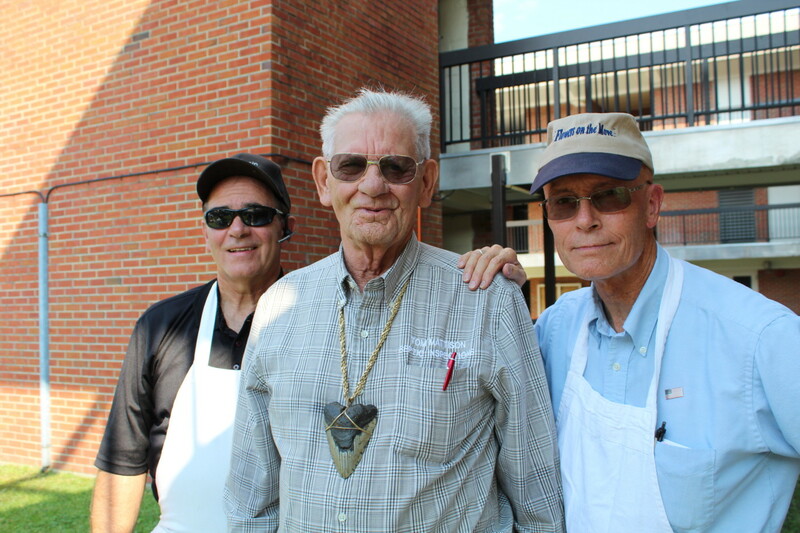 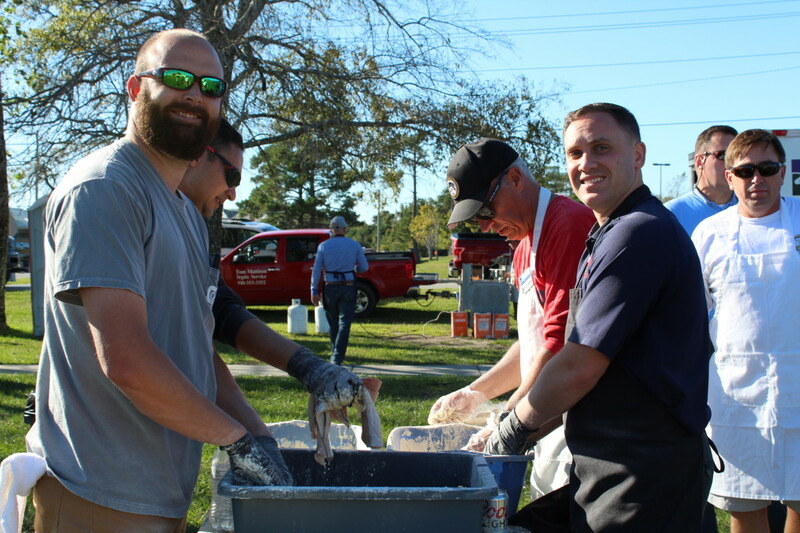 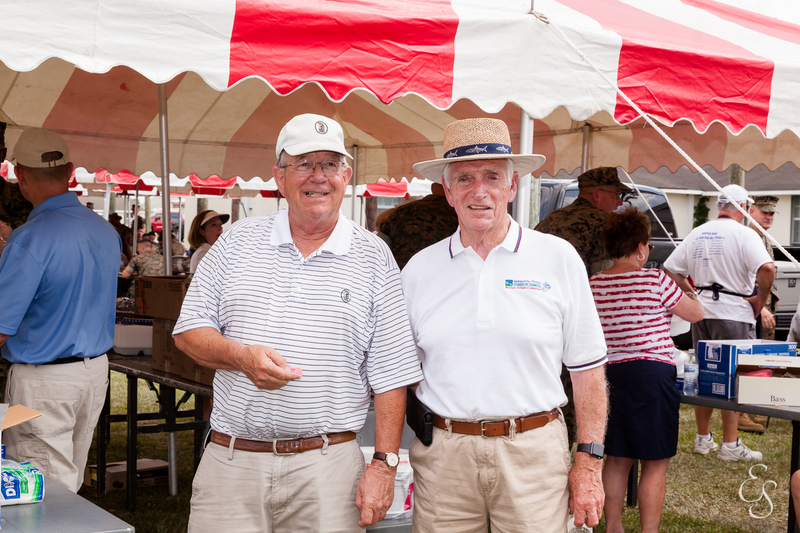 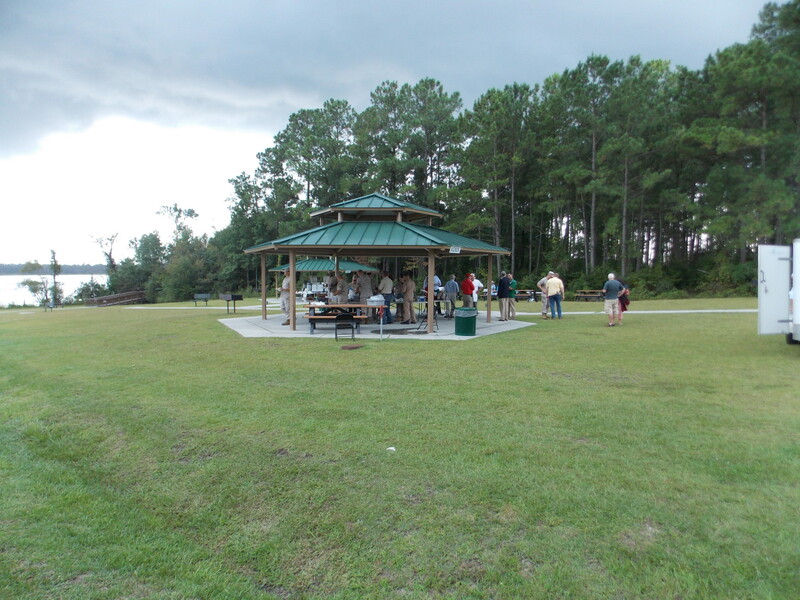 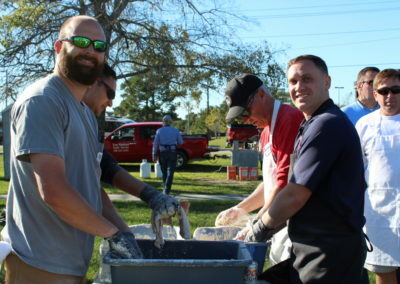 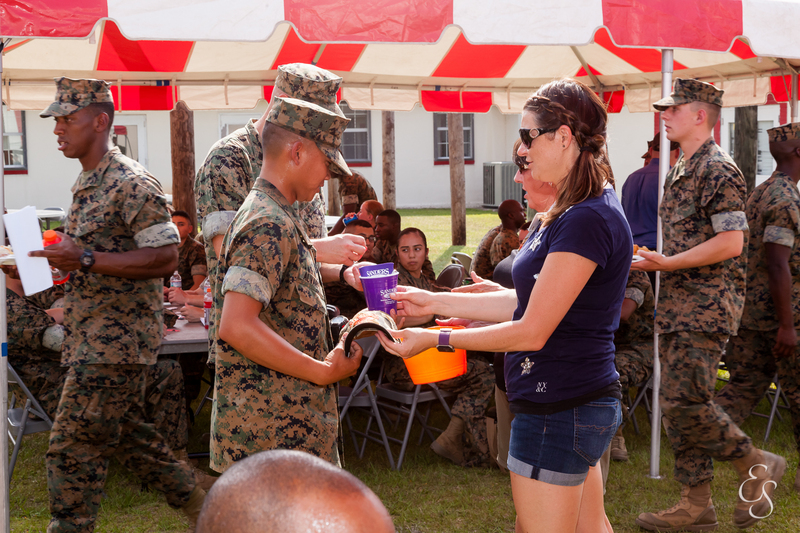 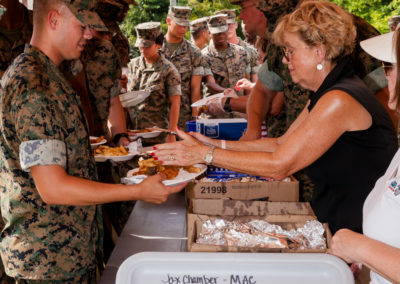 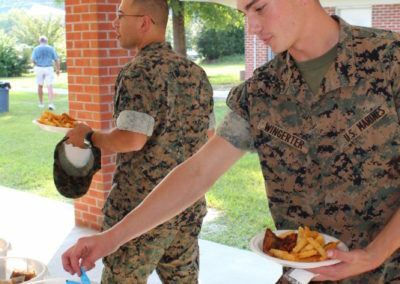 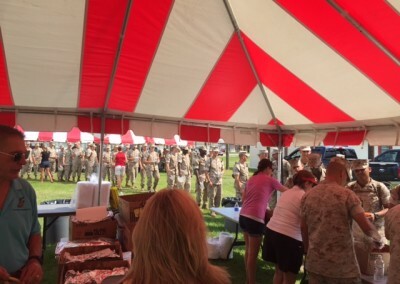 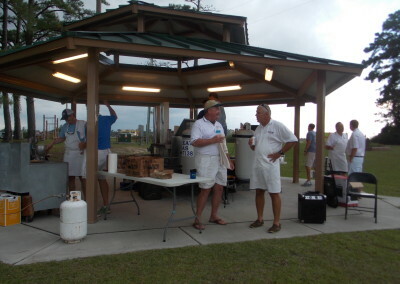 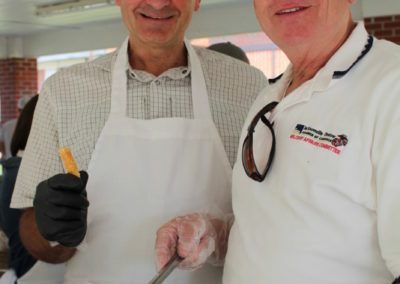 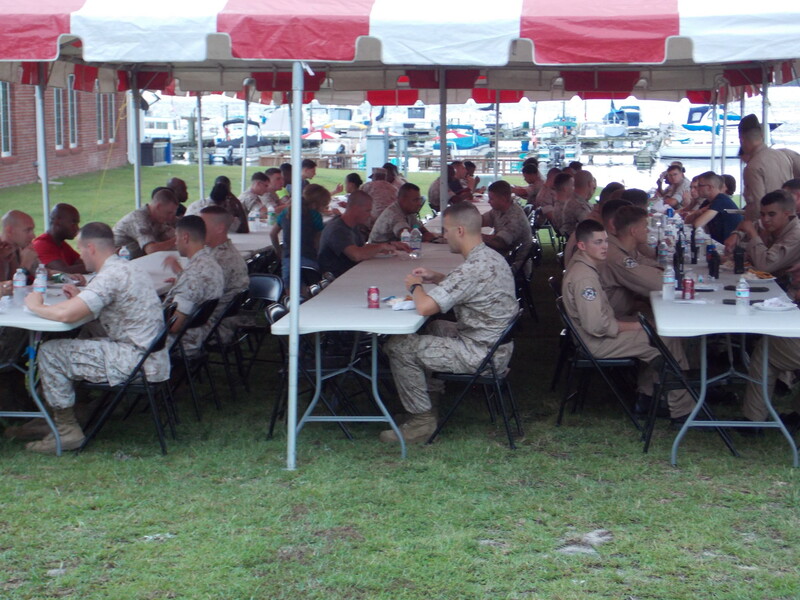 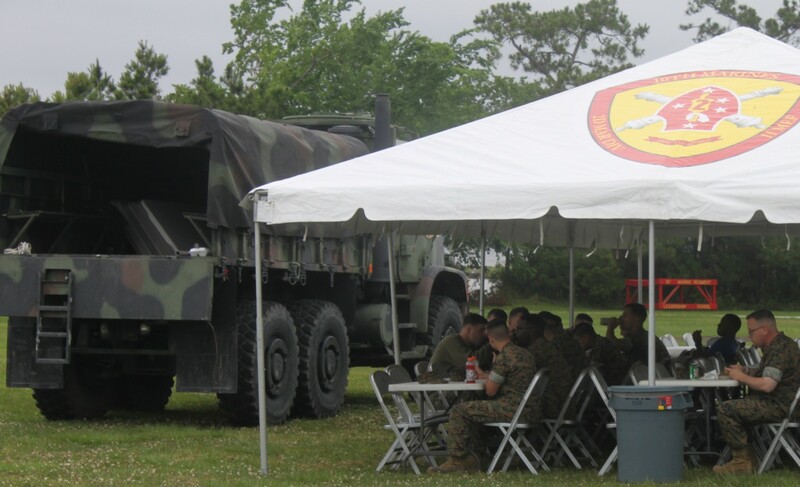 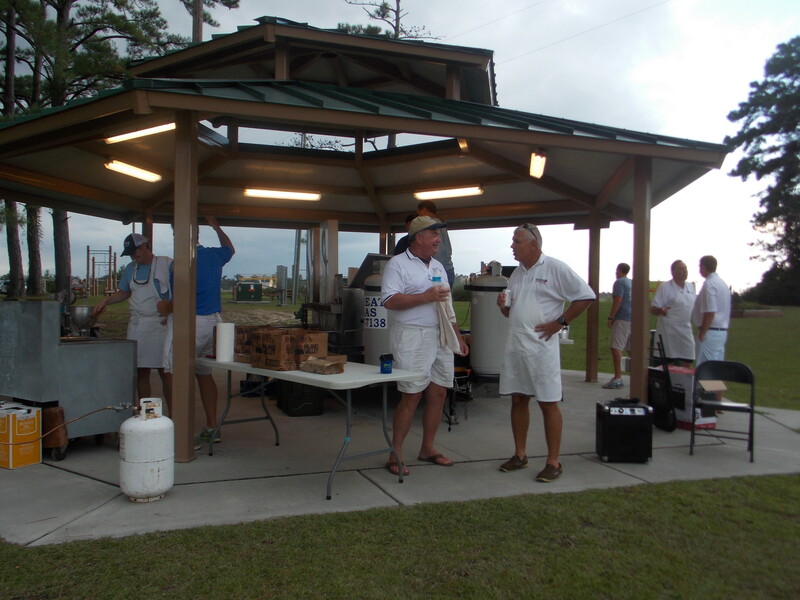 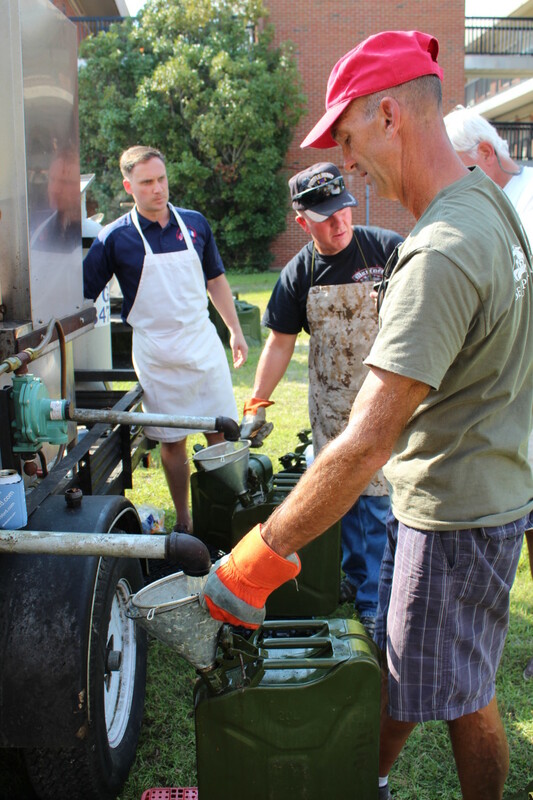 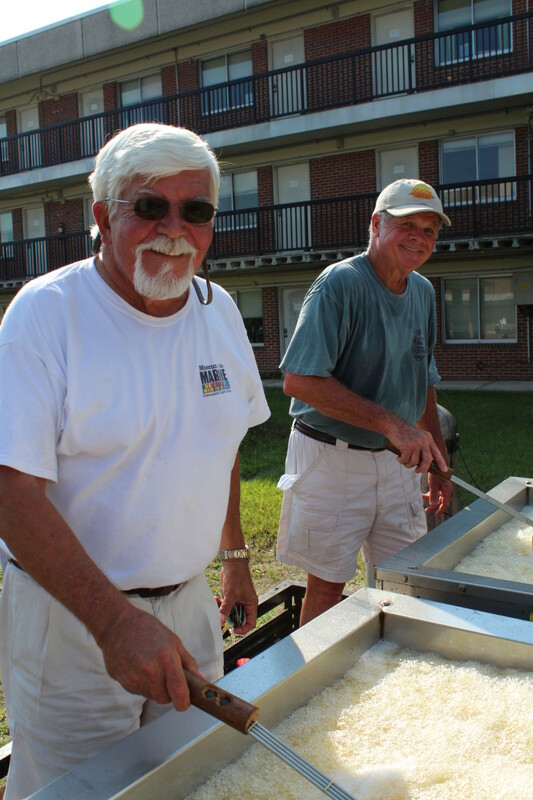 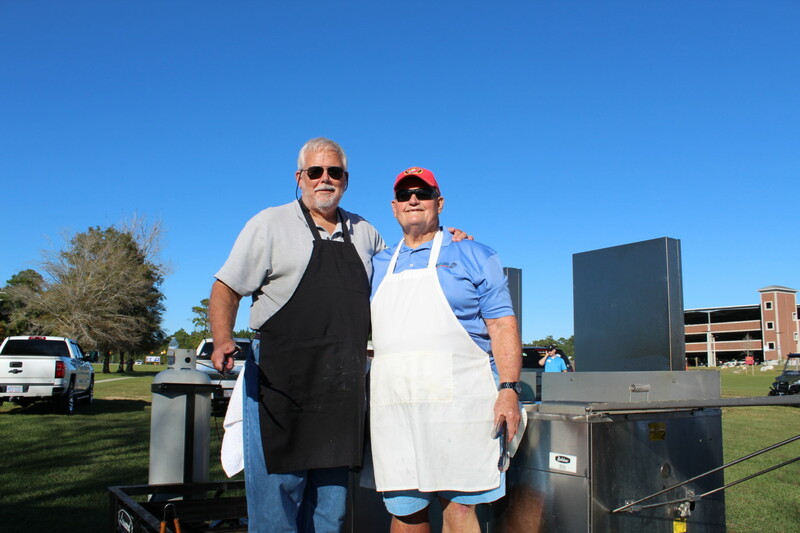 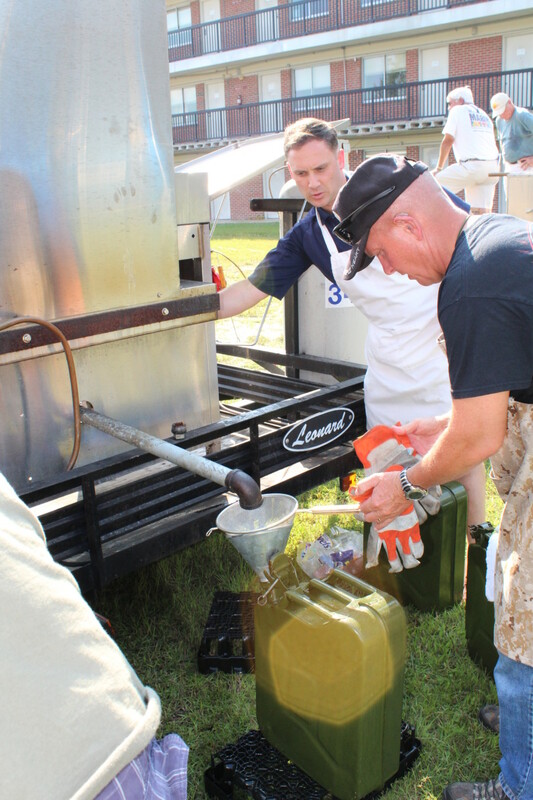 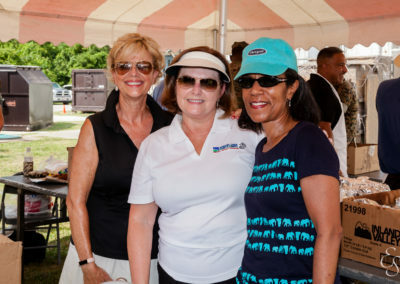 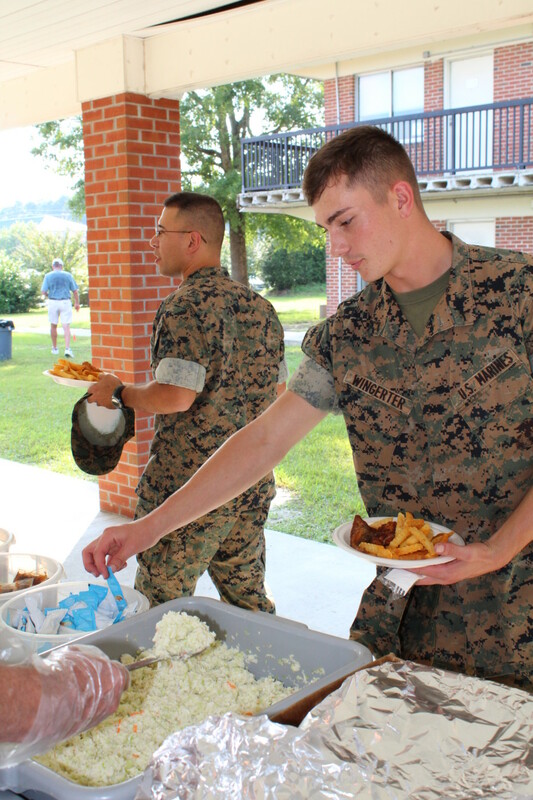 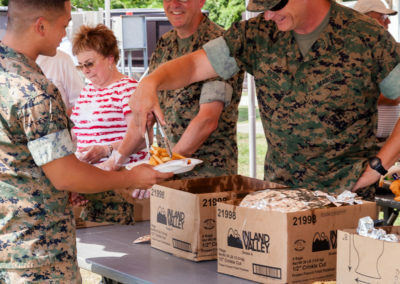 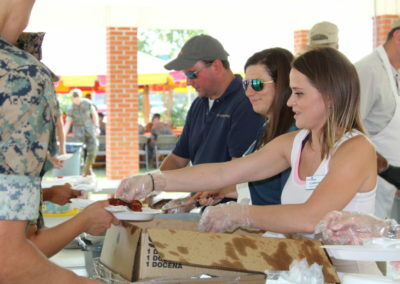 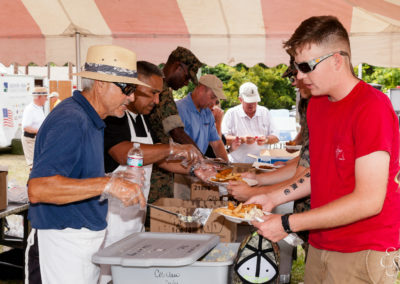 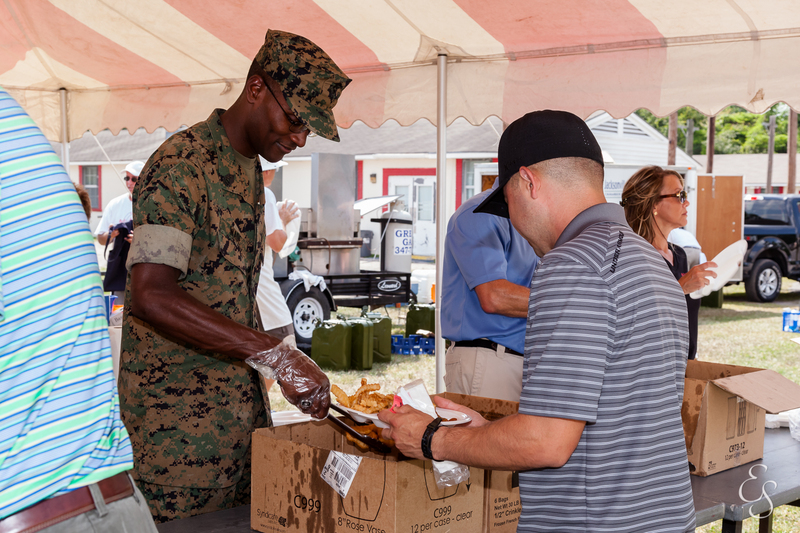 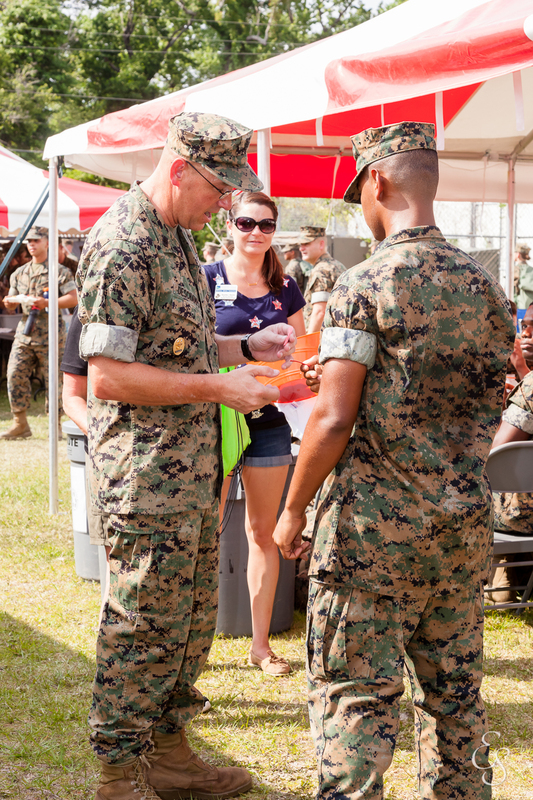 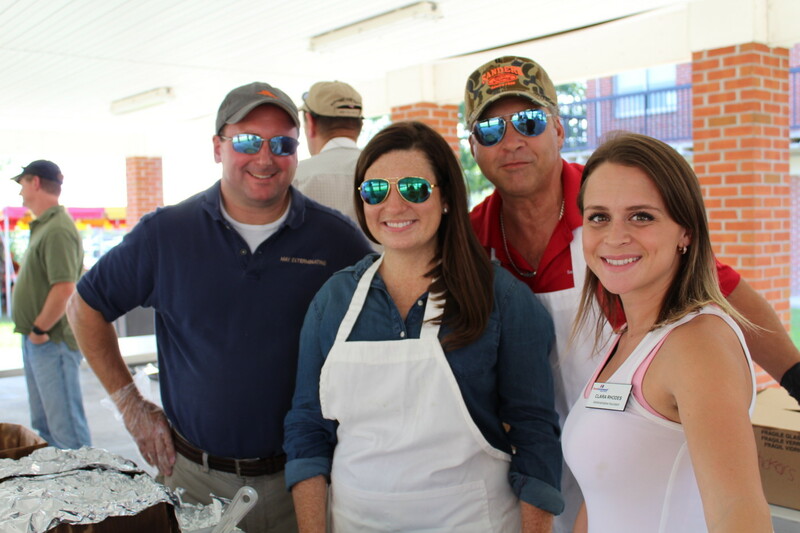 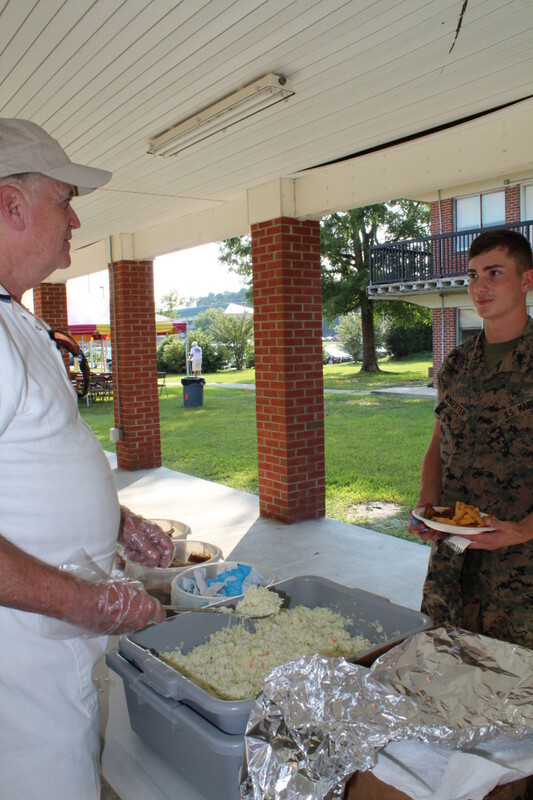 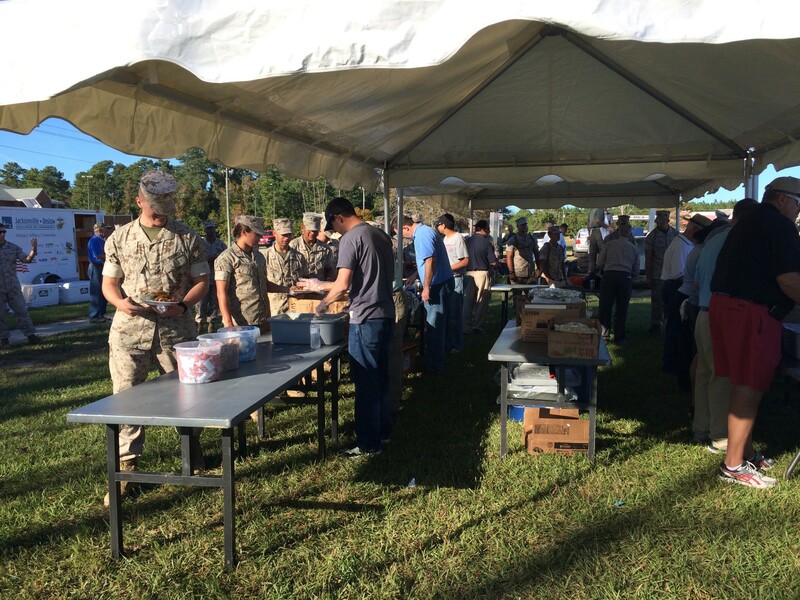 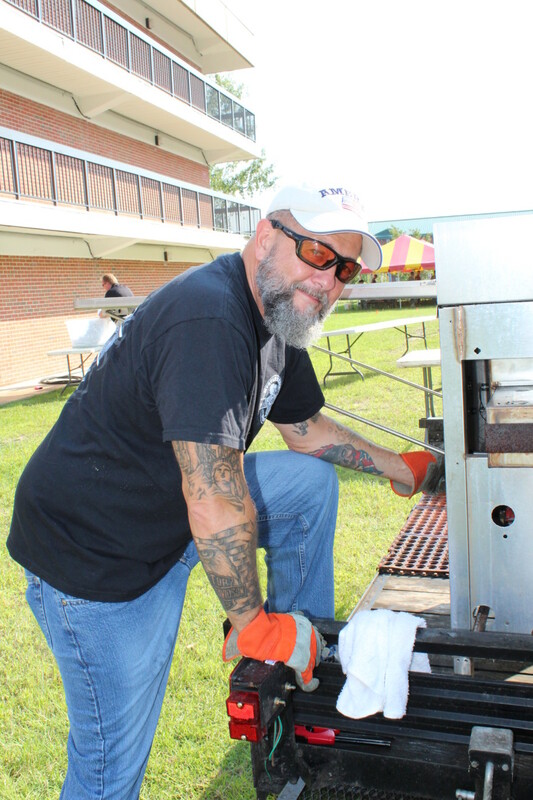 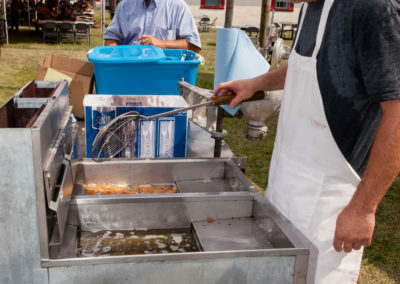 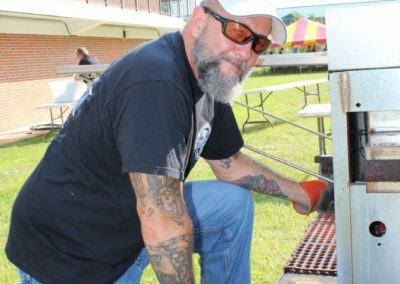 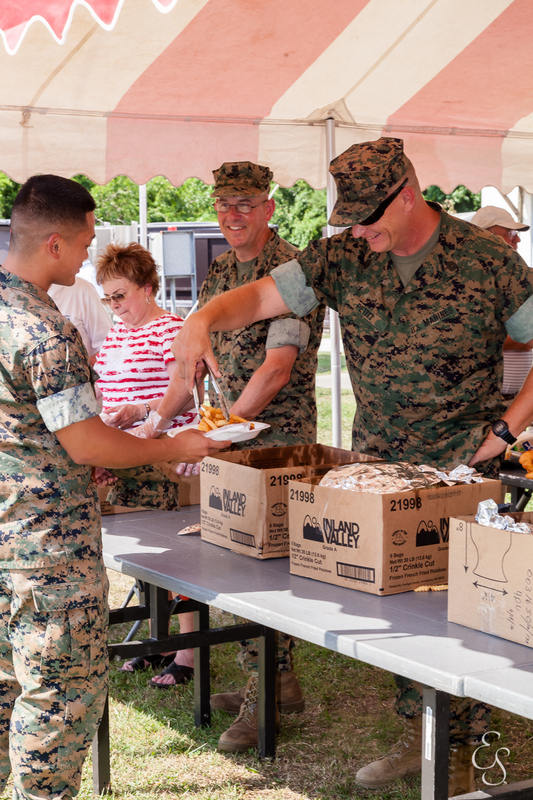 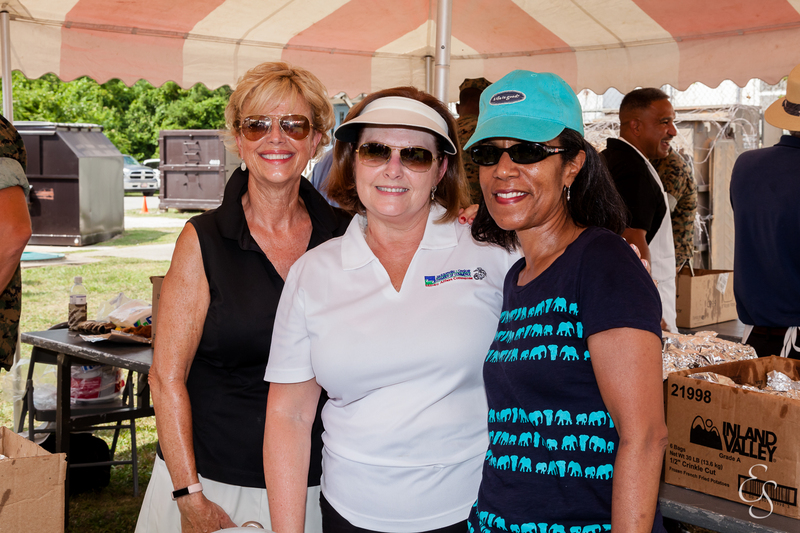 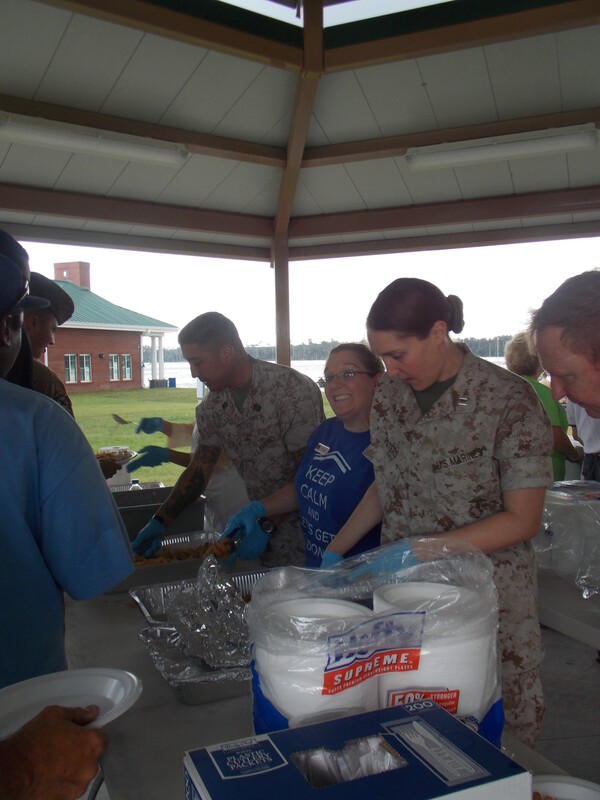 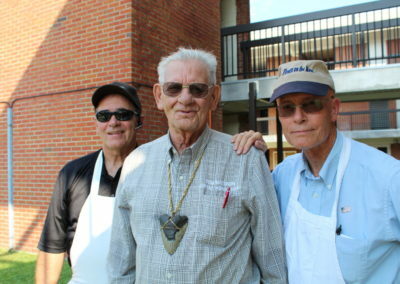 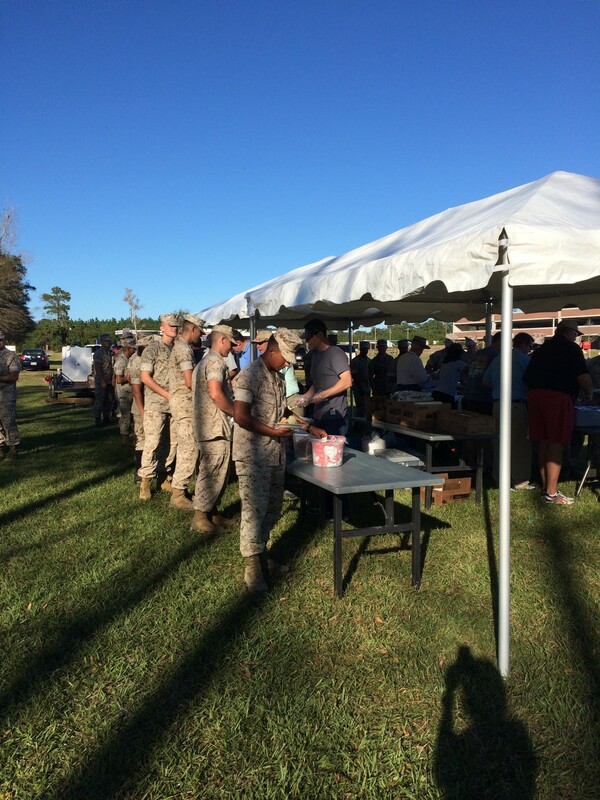 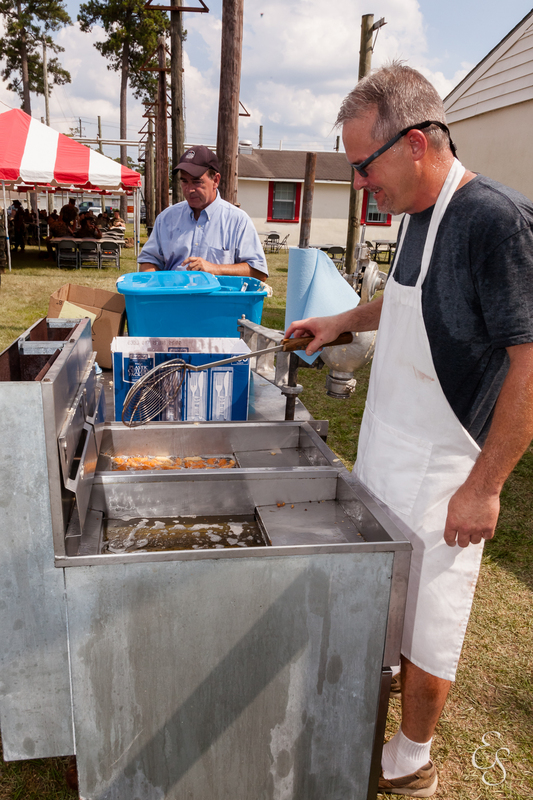 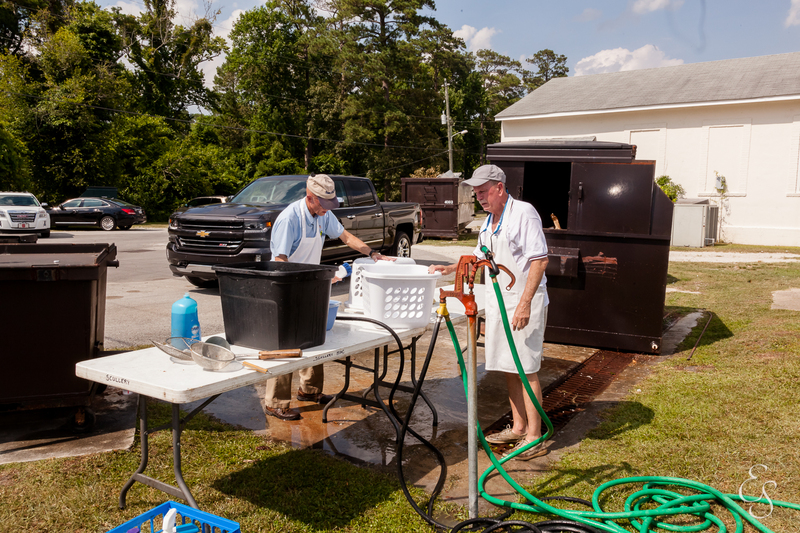 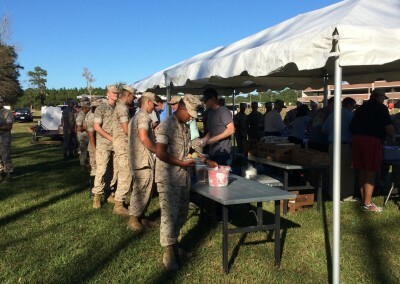 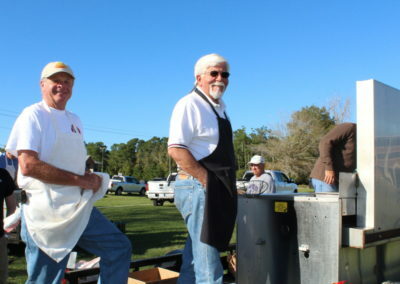 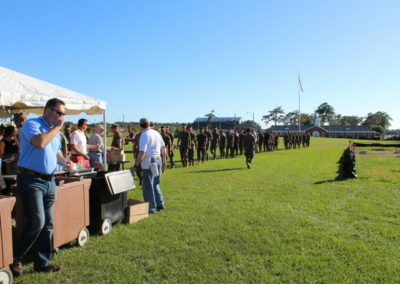 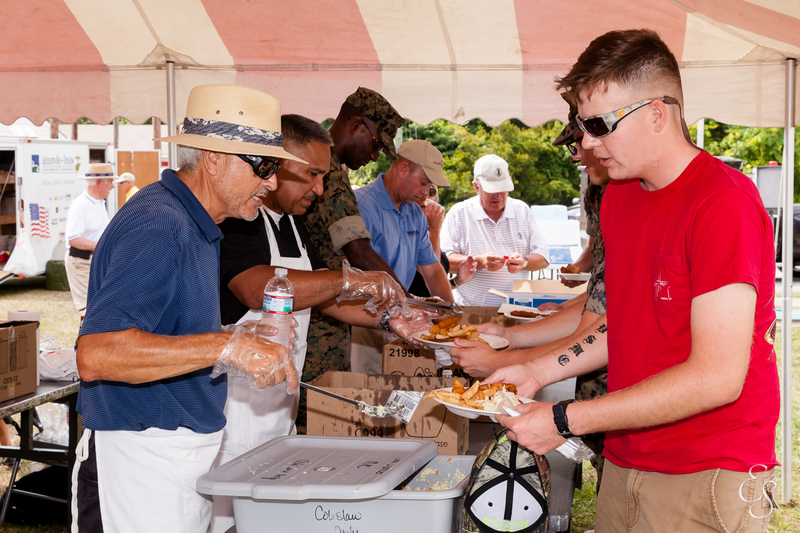 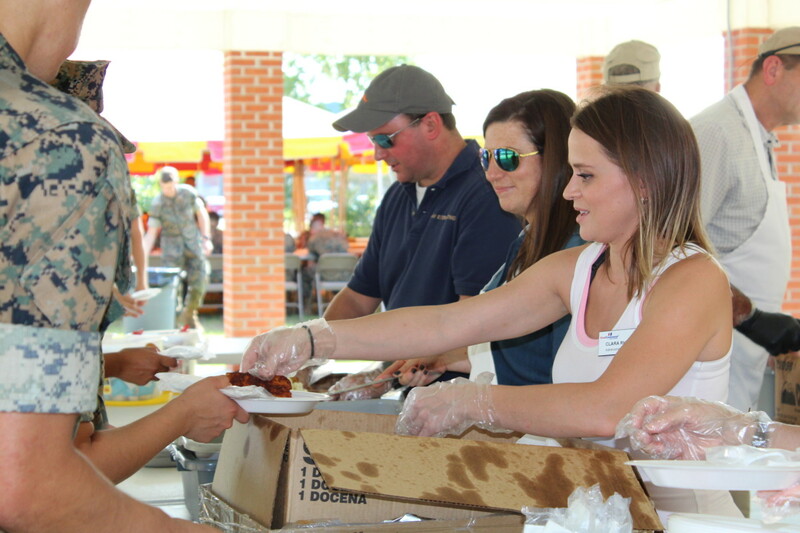 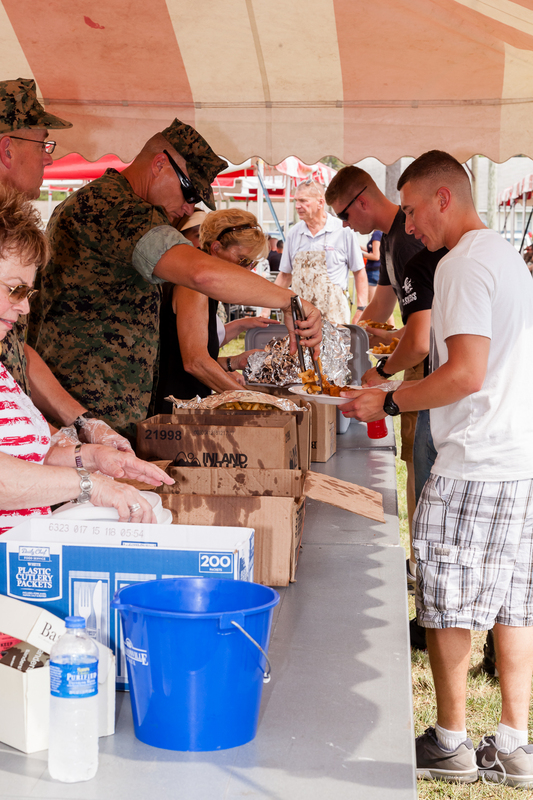 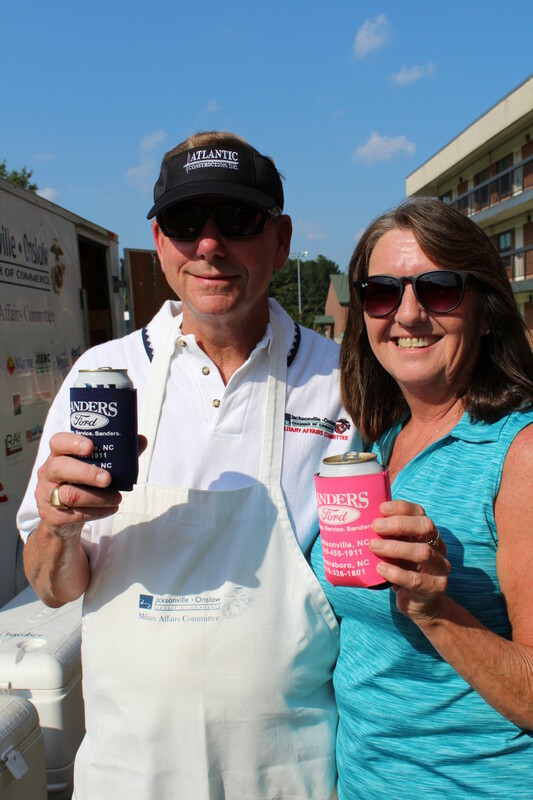 Each year the MAC hosts several fish frys in different areas of Camp Lejeune and New River Air Station as a thank you to the Marines and Sailors. 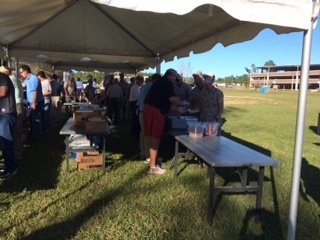 The attendees are served fried fish, hush puppies, cole slaw, and french fries. 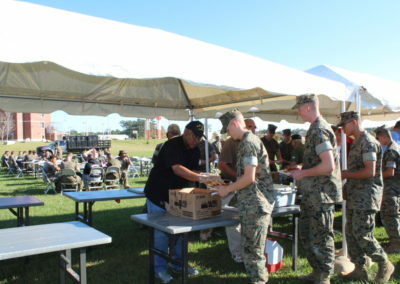 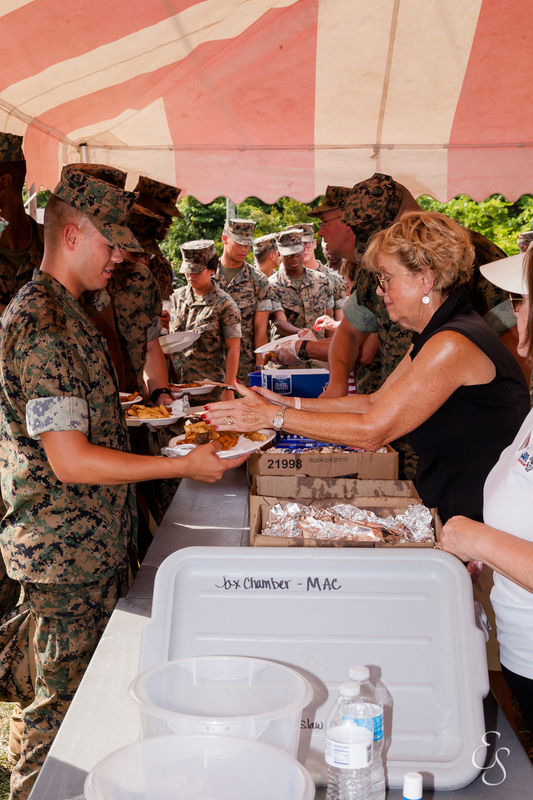 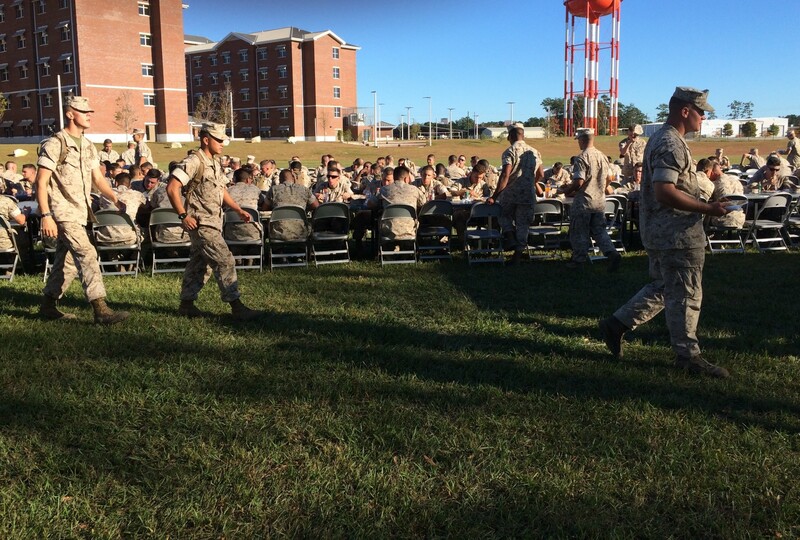 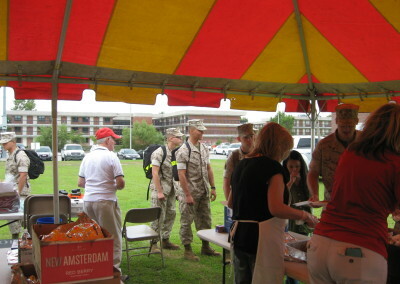 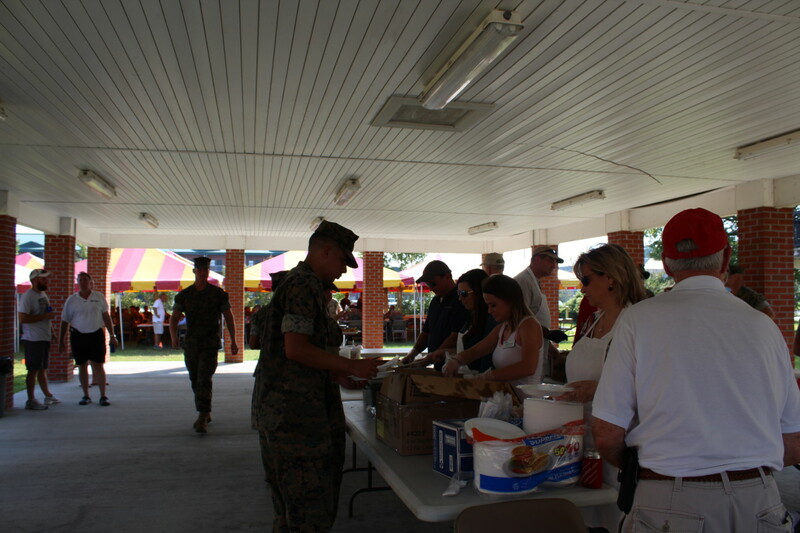 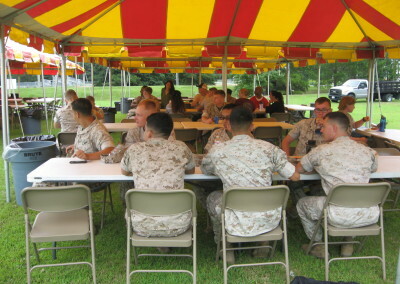 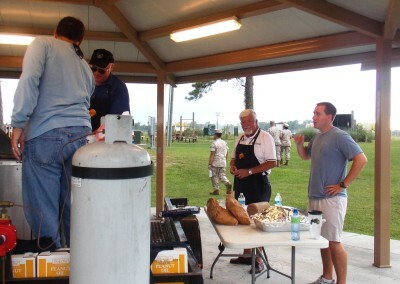 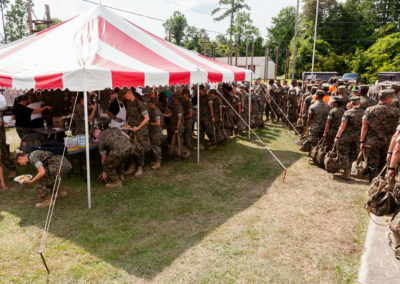 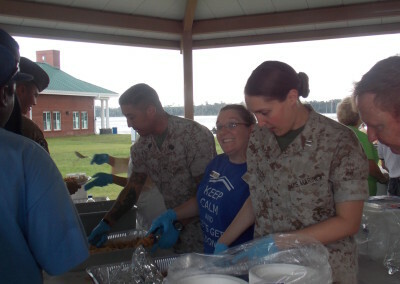 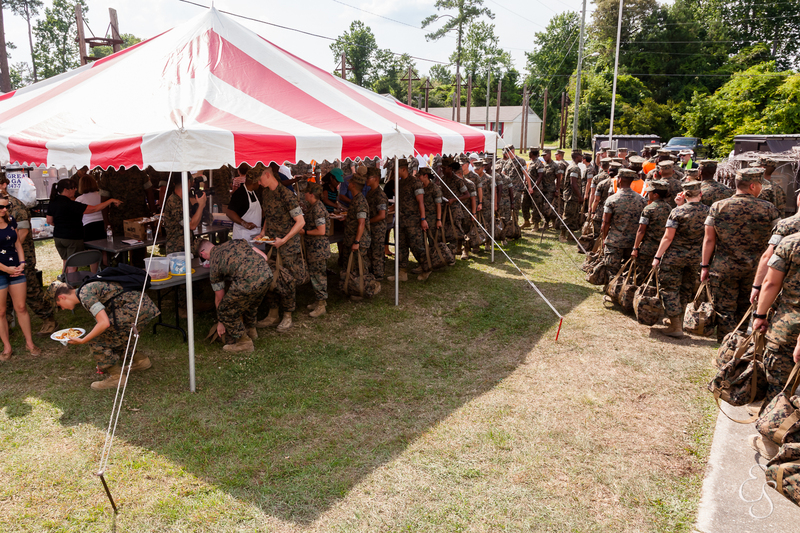 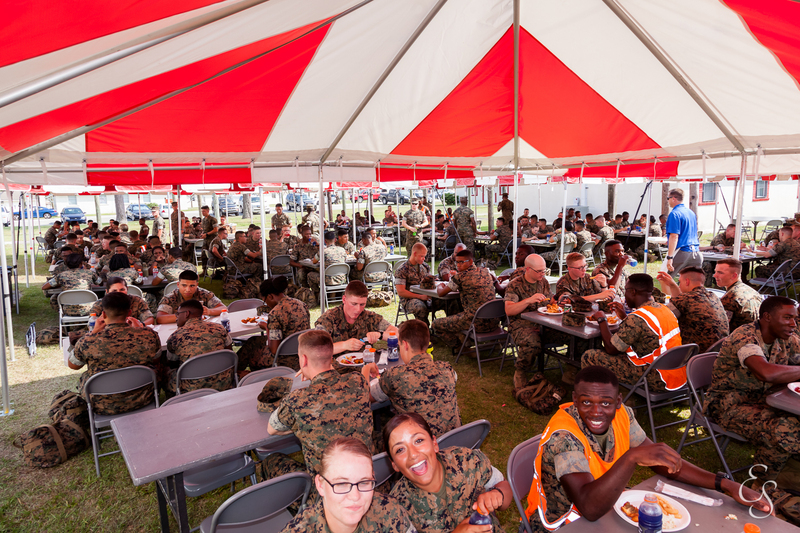 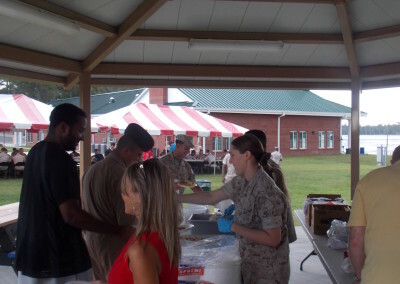 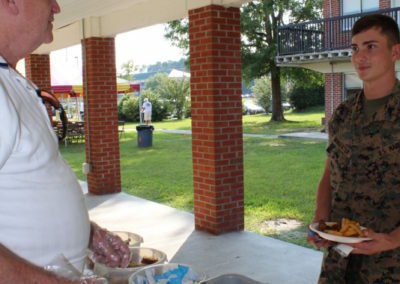 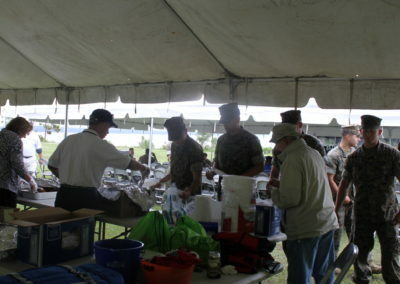 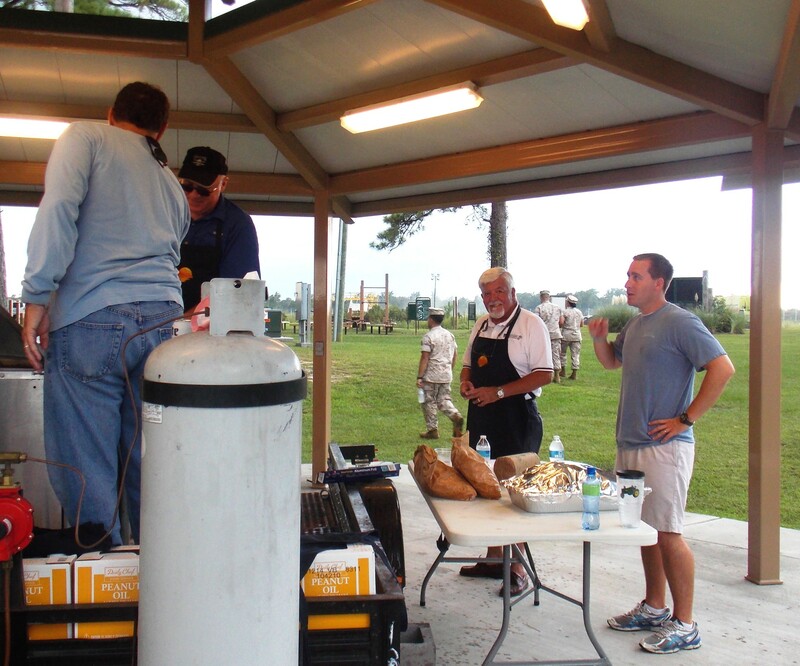 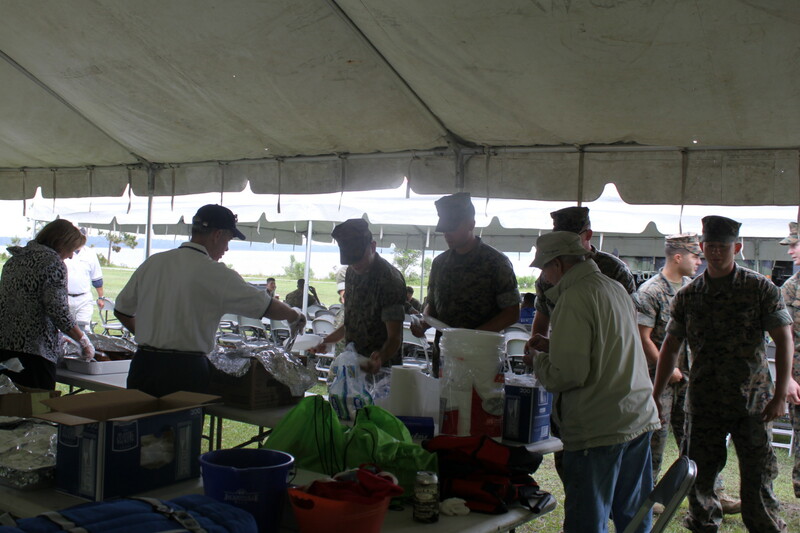 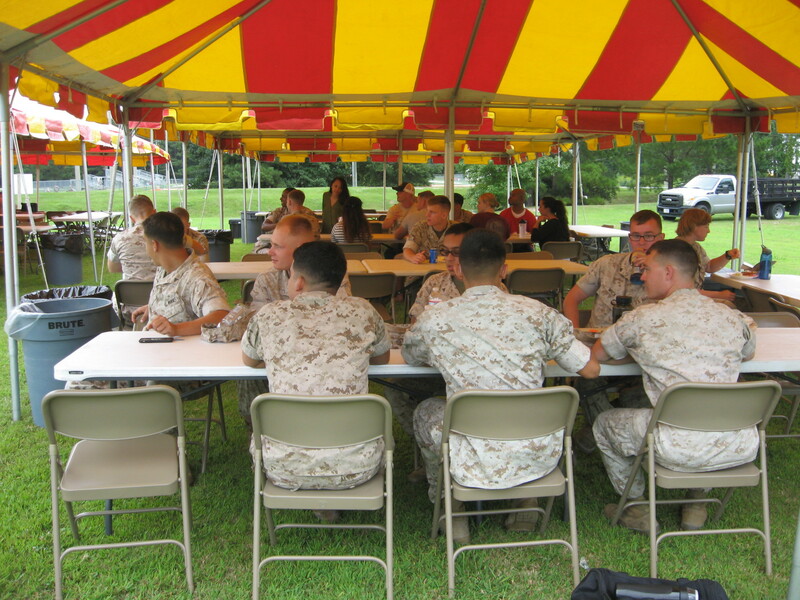 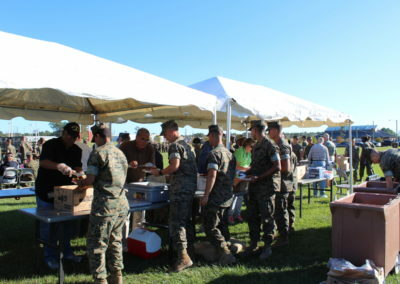 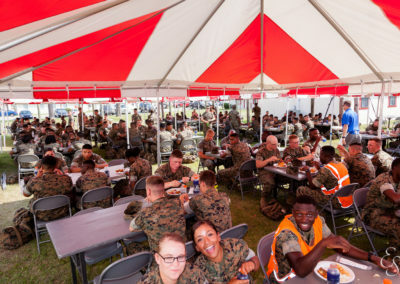 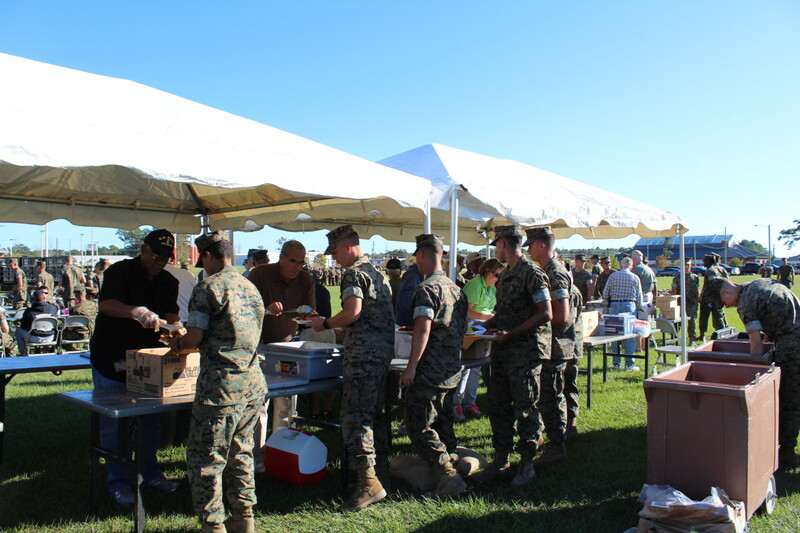 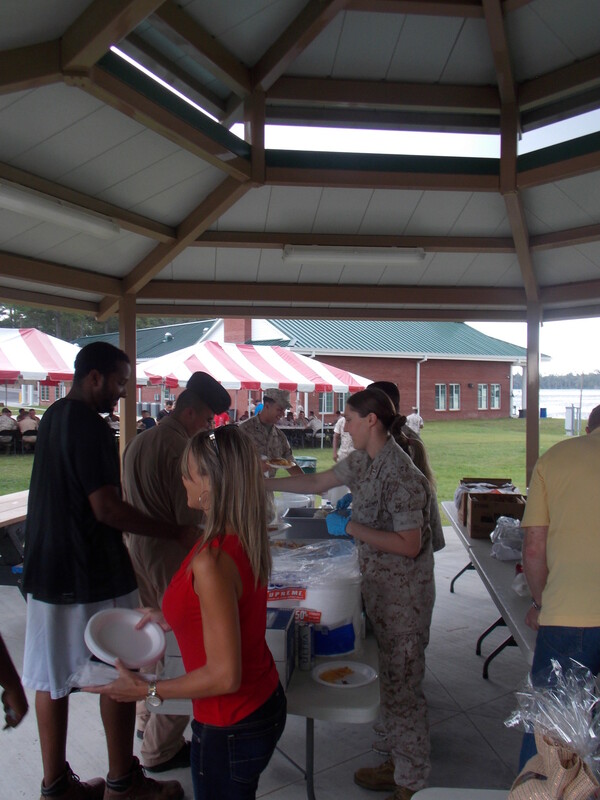 The food is prepared and served by the committee and numerous leaders of the military to the young Marines and Sailors. 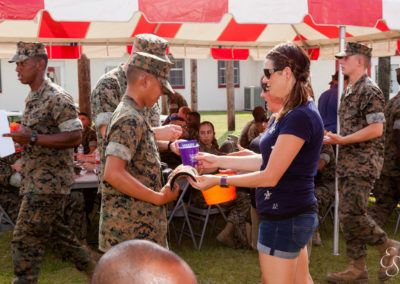 This is a fun, relaxing time to be able to give a little something back to those who give so much to us. 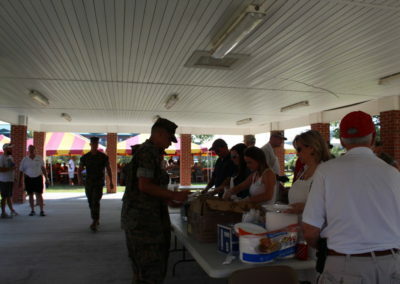 The Military Affairs Committee is grateful to be able to provide this small token of appreciation to all who attend.